Increasingly – little by little – the future of food is female. It's time, of course. We've scaled Peak Male Celebrity Chef and breathed the thin air. But it's on the ground of the global food culture – the epoch-defining tipping point at which we find ourselves – that's prompted the emergence of more and more rising women stars fighting to reshape food systems around the world. Such as these three: Peggy Chan, Janice Leung Hayes and Bronwen Percival. A vegetarian real food activist, a farmers' market founder in a fresh food desert and a cheese queen bridging the gap between ancient methods and science. Each is a pioneer to whom the term "crusade" isn't mere hyperbole. The buzzwords du jour (cheat notes: authentic, sustainable, artisanal and traditional) are never far from their remit. They're global, and they'll certainly be local when they present at the Melbourne Food & Wine Festival's Theatre of Ideas, two panel discussions elucidating on the hot-button topics of sustainability and community. The symbiosis between the two concepts is self-evident in the world of Peggy Chan. 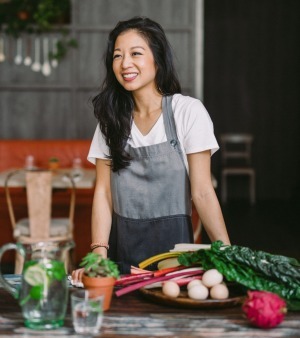 Frustrated that organic, plant-based dining was a rarity in Hong Kong, she opened the all-vegetarian Grassroots Pantry in 2012. It was radical concept in a global centre better known for its conspicuous air-freighted consumption. Her fine dining take on the vegetarian oeuvre won accolades and fans – it has since moved to larger premises to cope with demand – and in doing so lit the spark for a citywide green movement. "I think I'm a social activist at heart. I wanted to know what happens to our food, where it comes from, how it so often comes from giant agribusiness. I wanted to be a conscious eater," says Chan, whose conversation segues easily from the beauty of beetroot gnocchi to the livestock industry's implication in carbon emissions. It's harder for a woman to speak up and be listened to. Her route to ethical food leader was circuitous. She trained at Le Cordon Bleu in Ottawa (a vegetarian, she learned to cook meat instinctively with the help of her carnivore comrades) and worked in kitchens from Canada to China before working her way up through the military-esque ranks of Michelin-starred restaurants on the floor of Hong Kong's L'Atelier de Joel Robuchon, Caprice and Lung King Heen. Social entrepreneurship, however, was calling. "I really wanted to devote my life to a non-profit but at the same time build on the career I'd built in food and beverage; serve the community in a meaningful way on a daily basis but still do what I love. The answer was Grassroots Pantry." More than just a restaurant, Grassroots Pantry and its cafe and catering offshoots are really a front for a green, organic locavore philosophy. The space is also a forum for workshops and community events, and collaborative dinners with guest chefs aim to challenge the stereotype of vegetarian food. Pioneers get the arrows. Chan, a natural introvert, initially copped flack for her then-radical approach. "It's harder for a woman to speak up and be listened to. I'm not so much about words; I show by example and when we first opened we weren't taken seriously. Social media is a very dangerous platform. We had people mock us and question whether it was what I said it was. So often I had to fight back to protect my integrity. That's the hardest thing, but consistent good feedback and word of mouth encouraged people to come through." 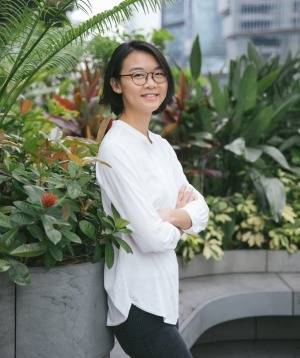 Another mover and shaker in the Hong Kong green scene, Melbourne-born Janice Leung Hayes, was wearing her other hat of professional writer when an assignment on locavorism – specifically, whether it was possible in Hong Kong's urban jungle – led to eventually opening Tong Chong Street Market, now the island's largest farmers' market. "I was researching whether it was possible to find locally grown produce among all this concrete and skyscrapers. Even in Hong Kong people think it's not possible. To my surprise, I found farmers trying to keep their traditions alive. Not only that, they were also transitioning into organic," she says. "It got me thinking, why can't we find a farmers' market? In Australia it's so easy – you just find a school playground and set up tables. But in Hong Kong land is at such a premium." Persistence led to the opening in 2012 of the Island East market on a stretch of private road the landlords gave her permission to use on Sundays. The success of that market led to the launch of Tong Chong Street Market every Sunday in Quarry Bay under the auspices of Leung Hayes' social enterprise platform, Honestly Green. Images of the market show a hive of people shopping for fresh produce under the market's awnings, sandwiched between the improbably vertical urban environment of modern Hong Kong. A retired double decker bus (it now serves as a dining room) emblazoned with the slogan "Keep your friends close and keep your farmer closer" says plenty about Leung Hayes' passion for sustainability in any environment. "I guess at its core it's really about challenging what sustainability means if you live in a city. I'd like to debunk that it's difficult to think more deeply about what we eat and where it comes from and what we do with the waste afterwards." As a Californian who lives in London and is an expert in all things cheese-related, Bronwen Percival would seem to have little in common with her Hong Kong-based presenters – but scratch the surface and you'll find a similar revival story. 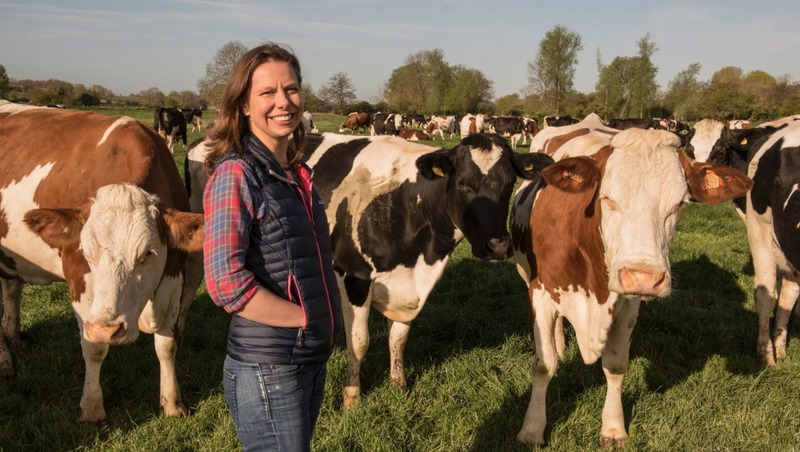 For the past 12 years the head cheese buyer for Neal's Yard Dairy in London (think of it as the Vatican of cheeses), she has promoted traditional farmhouse cheeses while looking to the future by harnessing the scientific community. "This is a pivotal moment for cheese," says Percival. "We've lost so much as we've moved away from cheese being a reflection of their farm's ecosystem towards something where you take any milk and put any designer culture into it and you can get any flavour out. But there is so much potential now that all this new scientific research is coming through, particularly in the role of microbial communities in these sorts of fermented foods." Co-author of the recent book Reinventing the Wheel (with her husband Francis Percival, with whom she'll be presenting at Theatre of Ideas), she's been doing her own wheel reinventing with an exhaustive CV that includes instigating a biennial conference on the Science of Artisan Cheese, spending two months in the Dutton Lab at Harvard University studying the role of marine-associated proteobacteria on cheese rinds and helping to found microbialfoods.org, a scientific resource about artisan microbial foods. She and her husband also founded the London Gastronomy Seminars, a long-running series of lectures and talks in London dedicated to making the technical side of food and drink fun and accessible. Even for someone as accomplished Percival, being the change you want to see in the world can be different for women. "Sometimes I find it really frustrating the same modes of communication aren't available to us. I've had situations where a male colleague steps in and says what I've been saying to our farmers in a supportive and encouraging way for six months and they've listened to him immediately," she says. "Having that collaborative voice heard is a challenge for women everywhere. Maybe the answer is simply telling people what to do." Theatre of Ideas for the Melbourne Food and Wine Festival will be held on Saturday, March 17 at Deakin Edge, Federation Square. Tickets to each two-hour session (Community, 10.30am-12.30pm, and Sustainability, 1.30pm-3.30pm) are $40 from melbournefoodandwine.com.au.